Munich, October 2018: Panasonic Industry has announced its technology line-up for Electronica 2018. On Stand B5-564, the company will be highlighting industry-leading innovations and components, as well as its core competencies as a design accelerator. Since its repositioning last year, Panasonic Industry offers one of the broadest product portfolios on the market, encompassing electronic components, devices and modules, complete solutions and production facilities, and advanced services and training. “As an industrial partner, you have to answer both demands: off-the-shelf products and more complex, customized solutions, along with different levels of value-added services. We at Panasonic Industry develop and deploy intellectual resources rather than just relying on the management of physical assets.” comments Johannes Spatz, President, Panasonic Industry Europe. 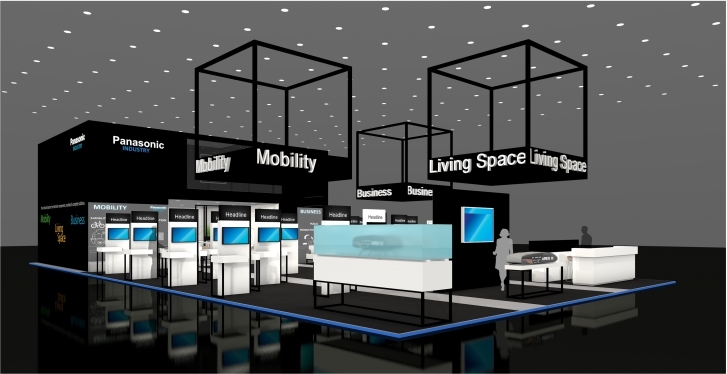 At Electronica, Panasonic Industry is showcasing its technological heritage, core competencies and products in the mobility, living space and business sector. Visitors will have a chance see inspiring exhibits, explore demos and meet with experts, seeing for themselves how Panasonic provides solutions that enable customers to meet tomorrow’s new challenges heads-on. A smarter transport system that caters for social, economic and environmental sustainability is arguably one of the most critical prerequisites for creating a viable future. Designing and delivering transport systems that provide environmentally friendly, safe, cost-effective and technologically informed travel alternatives address this issue and Panasonic Industry is showcasing its involvement and sponsorship with the Hyperloop transportation concept on the stand, as well as its other projects in the field of e-mobility and transportation. The wide range of Panasonic components and devices for various applications in the mobility market will also be on display. Panasonic delivers many products to this market, from passive components such as capacitors, resistors, relays, and inductors, to all in-car electrical applications such as airbags, brake systems, lighting systems, and control panels. In addition, input devices for radio, navigation, steering wheels and human-machine-interface are on display. Panasonic’s sensors are used primarily for monitoring and detecting, while semiconductors focus on power electronics and battery management solutions. Broadly defined as the Internet of Things (IoT), the growth of commodity devices that integrate physical processes with digital connectivity has had profound effects on home appliances, personal monitoring devices and building automation which will ultimately change the way we live, play and work. At Electronica, Panasonic Industry is exhibiting its IoT connectivity and energy solutions and passive components, as well as sensors suited to address the critical design issues of miniaturization, high efficiency and power savings. The wireless connectivity solutions on display offer the highest link budget as well as the lowest power consumption on the market and are available in BLE mesh and Thread mesh compatible versions. With its Amorton Solar Cells, Panasonic Industry showcases its unique integrated amorphous silicon solar cells that deliver any desired voltage for various equipment operations. However, there is no IoT without sensors: Panasonic’s broad range of passive infrared sensors (PaPIR) motion sensors will be on display. Panasonic’s PaPIR motion sensors feature easy integration, high reliability and environmentally-friendly materials - ideally suited for motion detection of people and objects. With its exclusive IoT Workbench on the stand, Panasonic Industry will demonstrate a combination of components in a hot desk application showcasing design, simulation, construction and testing of its solutions and products in one application. Since the line between telecommunications equipment and IT has started to blur, the importance of telecommunications infrastructure for data transfer, especially within the field of industrial automation and professional equipment has increased. The factory of the future will rely on cyber-physical systems — the integration of computation, networking, and physical processes. MedTech organizations and new market entrants are capitalizing on recent and emerging technological advancements and providing novel healthcare solutions using mobile health applications. Panasonic Industry’s devices and components answer the shifting demands that come with these new networks such as low power, reliability, connectivity, and robustness. Electronica visitors will get a chance to learn about energy storage solutions such as Lithium Primary, Nickel-Metal Hydride and Pin-type Li-ion batteries which deliver superior charging, and are notable due to their robustness and small size. Thanks to extremely fast switching and high conduction capabilities, X-GaN transistors extend the boundaries of energy efficiency and power density in power converter design. Energy-Polymer-Capacitors are also a promising technology to extend battery lifetime and help achieve fast acceleration while enabling charging in just in a few seconds. Further passive components on display include Panasonic’s broad range of relays, connectors and thermal management solutions.